Let’s Draw! for Nintendo DS: art and fun too! Based on a best-selling line of Japanese drawing books, Let’s Draw! challenges players to create full images by combining small, easy to draw shapes into larger objects and scenes. Let’s Draw! makes art accessible by teaching children of all ages, even those who have not yet learned to read, how to draw via full voice instructions as they play. Kids follow step-by-step guidance to create more than 100 different images that they can then bring to life with animation and sound. Let’s Draw! also lets players pair their newfound art skills with their imaginations to create and animate their own designs from scratch. Kid friendly voice instructions: Even a small child who can’t read yet can play by simply following the voice instructions throughout the menus and game. Play fun mini games, with YOUR creations! 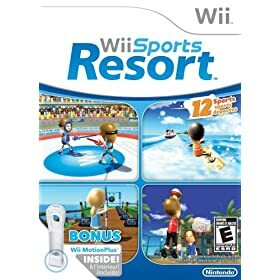 : Play 10 fun-filled mini games such as “Car Racing”, “Whack-a-Mole” or “Air Hockey” featuring the very characters you’ve drawn. Flex your creative muscles: Once you’ve mastered your drawing skills in “Learn to Draw” mode, it’s time to unleash the creativity! Draw whatever you like! Once completed, each picture is stored in the Album for you to view later. Get Let’s Draw! now for US $ 19.99 and enjoy artistic fun! Nintendo DSi XL arriving: just a larger screen or about to get Classic Books App? Nintendo confirmed last November about a big display Nintendo DSi XL handheld console and now it’s going to be available next month. Bearing a 4.2-inch screen that is 93 percent bigger in comparison to the original DSi, Nintendo will bring Nintendo DSi XL on March 28 in North America. Business Week reported that Nintendo will also push the ebook reader for the handheld console. Just like Sony gifted Comic Store to PlayStation Portable, Nintendo will bring a book store for DS owners. 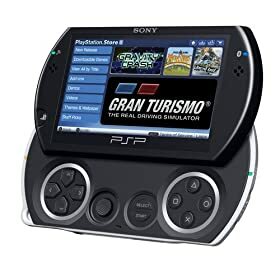 With books for Nintendo DSi XL , the company in a way will compete with several existing players like Amazon (Kindle DX), Sony (Reader and PSP), Apple iPad Tablet , Barnes & Noble (Nook), Notion Ink (Adam) and so on. A downloadable package dubbed ‘ 100 Classic books’ is the App that is being talked about and will be released through Wii channels on June 14 for $20 (Rs. 960 approx.). We still have to wait for the list of books and novels included in these 100 Classic collection. On the other end, Apple iPad Tablet is due to arrive by next month which too acts as eBook reader. And with 4.2-inch screen even DSi XL can serve as a good ebook reader just like many use iPhone albeit not for prolonged hours. If more ebooks are made available for DSi XL, then it may attract the casual gamers, who can also use it for reading some good titles. Apart from that, DSi XL will also have Opera mobile browser for surfing the web. Similar handheld devices capable of more than the basic function like gaming make the choice wee bit difficult for consumers. Sony offers Comics on the PSPgo and now DSi XL will bring ebook reading capability. Are we heading for an eBooks vs digital comics clash in the near future? May be. But before that, let’s wait for the Nintendo DSi XL handheld console to arrive. The new Nintendo DSi XL is priced at US $189.99 and available for pre-order now! BioShock 2: ready, armed and waterly lethal! The BioShock team has pulled off another masterpiece. One that expands the mythology, but doesn’t lose any of the mystery. One that introduces fascinating new settings and characters, but doesn’t forget or neglect those previously established. One that gives the player devastating new power, but balances that with devastating new fear. One that takes chances and makes changes, but almost always for the better. Thev’ve pulled off Bioshock 2 ! 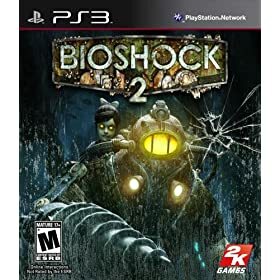 Bioshock 2 begins as you take control of one of the first Big Daddies, a prototype called Delta, who must find his way across the Rapture of 10 years later in search of Eleanor, the Little Sister to whom he was bonded. Along the way he is taunted by Lamb, who believes he is nothing less than a threat to the future of humanity, and like his predecessor in the first game the people he meets on the way help to explain his past, while your behaviour towards them has the potential to define the future. Once again you are equipped with plasmids and standard weapons, but now you can use both at once, loosing genetic powers with one hand and regular projectiles with the other. You can cycle between alternatives in each category, or pause the action momentarily to change your loadout through quick-to-use radial menus. As a Big Daddy you have access to new weapons, too, including a drill, a magnificent spear gun that pins enemies to walls by their appendages, and a grenade launcher the size of a filing cabinet. The weapons are better. The plasmids are better. The enemies are better. At some points, even the storytelling is better. What’s most amazing and surprising about Bioshock 2 , however, is that by diving deeper into Rapture’s tortured history and exploring more of Rapture’s haunted world, it actually manages to make the original BioShock better, too. Sands of Destruction DS: fight tiranny in unconventional fanstasy worlds! The American release of World Destruction-SEGA presents Sands of Destruction DS . In a struggle to rid their planet of tyranny, a group of warriors seeks the power to destroy the world. Sands of Destruction DS , an epic RPG created by the all-star Japanese developers at ImageEpoc, takes you through an epic adventure in a world surrounded by a sea of sand. In Sands of Destruction, a race of powerful beastmen known as the Ferals rule over the human population with tyranny and prejudice. A group of warriors, the World Annihilation Front, believe their only option for ending the corruption of the Ferals is to end the world as they know it. Sands of Destruction DS is available now for US $ 34.99, hurry up the fight has began! Dante’s Inferno is available at last for PS3, XBox 360 and PSP, but who really dares? 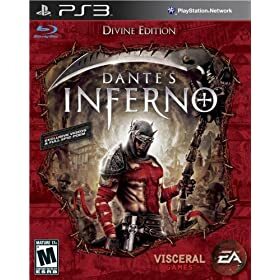 In Dante’s Inferno , players assume the role of Dante as he travels on an epic descent through Dante Alighieri’s nine circles of Hell – limbo, lust, gluttony, greed, anger, heresy, violence, fraud and treachery. Players assume the role of Dante, who descends into Hell after returning home to find his beloved Beatrice murdered, with Lucifer seducing her soul into the underworld. His mission is to save Beatrice, but he soon realizes he is also in Hell to face his own demons and ultimately to redeem himself. To take down the demons of Hell, Dante is outfitted with two primary weapons: the Scythe he takes from Death and the Holy Cross given to him by Beatrice, which has spiritual powers that will help Dante collect souls and spells from the creatures he defeats on his journey. The game also features a deep upgrade system so gamers can customize their abilities to their specific gameplay style. Each circle showcases its own distinct look, with demons, monsters, damned and geography that are crafted straight from the poem’s vivid descriptions. Epic story adapted from the first book of the Medieval Italian classic The Divine Comedy, by Dante Alighieri. Nonstop action as you fight through Dante’s allegorical nine circles of hell. Wield the power of Death’s soul-reaping scythe. Beautiful fast-paced action and intense combat rendered at 60 frames-per-second. Choice-based finishes with enemies that allow players to punish the damned, or absolve them as they are defeated. Over 60 weapons, magic and combo upgrades and modifications. Huge destructive, ridable mounts that can be taken from defeated enemies. Dante’s Inferno is available now for $56.99 (order quickly and save 5% with FREE Super Saver Shipping). 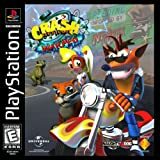 MX vs ATV Reflex for PSP: become the Rider! MX vs ATV Reflex marks the highly anticipated return of the best-selling off-road racing franchise. Merging familiar arcade style features like the franchises trademark over-the-top, multiple vehicle type off-road racing and trick gameplay, with new features like 4-player multiplayer support, the all-new Rhythm Racing 2.0 physics engine and the revolutionary Rider Reflex control system, Reflex is positioned to take the lead in 2009 amongst off-road racers on the PlayStation Portable (PSP) platform. 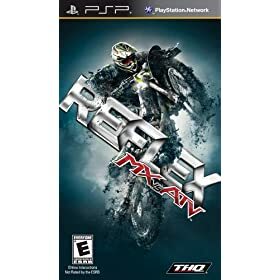 Similar to earlier games in the MX vs. ATV series, gameplay in Reflex revolves around multiplayer racing (4-player), across a wide variety of off-road race event types. These events encompass everything from motocross, supercross, omnicross and others and also feature a high level of trick completion, judged with several parameters in mind. Vehicles used in the races run the gamut from specific MX bikes, and ATVS, to super buggies and trucks. Gameplay in the dirt-covered environments faced require skill and guts to master. Along with the new Rhythm Racing 2.0 physics engine, MX vs. ATV: Reflex helps players achieve in these areas with a new control scheme, Rider Reflex. Get MX vs ATV Reflex now! Available for US $ 27.99 (and save 7%!)! Looking for danger? Power fight? Your perfect gift is Assassin’s Creed: Bloodlines PSP Pack! 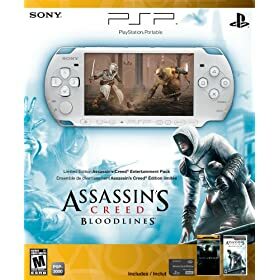 The PSP Pack Limited Edition Assassin’s Creed: Bloodlines Entertainment Pack brings together the latest hardware revision of the PlayStation Portable (PSP), with action, adventure, ancient intrigue and overall digital entertainment like you never thought possible. The Bundle includes a “Pearl White” PSP-3000 system, a copy of Assassin’s Creed: Bloodlines in UMD format, a 2GB Memory Stick PRO Duo, an “Angels & Demons” PlayStation Store downloadable movie voucher* and a Sony Music Voucher for 10 downloadable songs. Assassin’s Creed: Bloodlines on PSP is the first Assassin’s Creed game on the PSP. It follows the story of Altair right after the events of Assassin’s Creed as Altair tracks down the last Templars who fled the Holy Land and retreated to the Island of Cyprus. The world of the assassin is one cloaked in shadow and steeped in danger. Ensnared in a web of revenge and conspiracy, the assassin embraces power at its most elemental, acting as the dividing line between life and death. As an assassin confronted by perilous new challenges and difficult choices, what path will you choose? Assassin’s Creed: Bloodlines contains several bonus features integrated with the PlayStation 3 version of Assassin’s Creed II through a USB link between the two systems. Players who own both games can collect “Templar Coins” in Bloodlines and exchange them for Assassin’s Creed II currency, as well as collect weapons from defeated targets and play with those same weapons in Assassin’s Creed II. Through that same USB connectivity, blade and health upgrades found in Assassin’s Creed II can be transferred to Assassin’s Creed: Bloodlines, making for the ultimate Assassin’s Creed gaming experience on both platforms. With 2GB of memory, the compact Memory Stick PRO Duo allows you to save your PlayStation Network downloads, as well as store your videos, photos, music and more. The PSP Pack comes for US $ 199, if you dare to face Altair’s dangers! 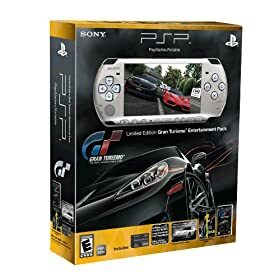 PSP Avatar: the movie & the game for PSP! 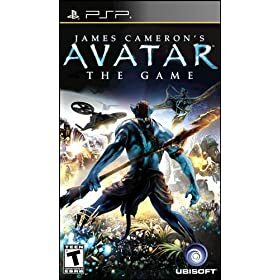 James Cameron’s Avatar : The Game allows you to step inside the world of the feature film and go deep into the heart of Pandora and its people. Choose to fight for either RDA or the Na’vi, arming yourself with any of dozens of customizable weapons and a variety of clan-specific skills. Acquire new skills as you advance through the game, giving your all in the epic battle for a planet and a people. Based on James Cameron’s film, the game takes you deep into the heart of Pandora, an alien planet that is beyond imagination. Gamers encounter the Na’vi, Pandora’s indigenous people and discover creatures and other wildlife the likes of which have never been seen in the world of video games before. When conflict erupts between the RDA Corporation, a space-faring consortium in search of valuable resources, and the Na’vi, players find themselves thrust into a fight for the heart of a planet and the fate of a civilization. Get now Avatar for US $36.99 (You Save: $3.00 - that’s 8% off)!